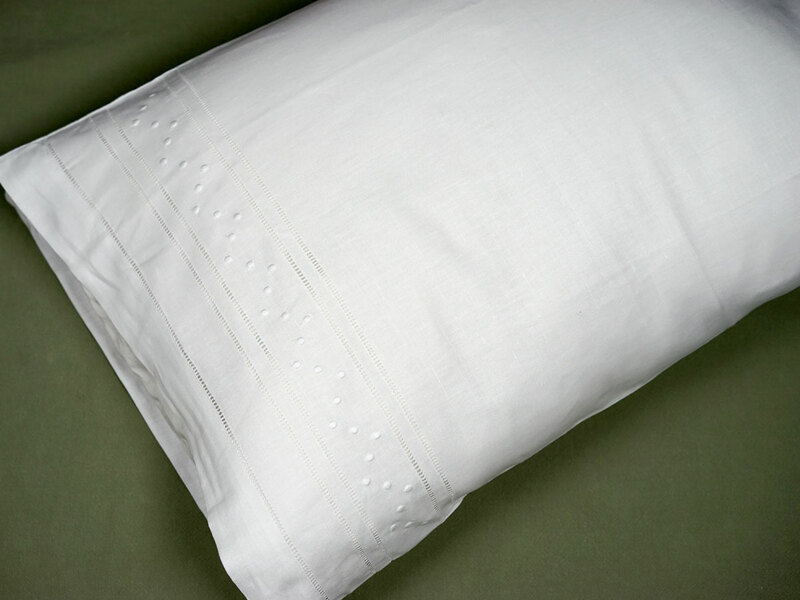 This is a set of 2 cotton pillowcases with embroidered dots stitched in a zigzag pattern between two hemstitched edges. Each pillowcase measures approx. 20" x 30" and will fit any standard or queen size pillow.